Portland is experiencing a lively renaissance in business, tourism, and arts+culture, and the local dance scene is no exception. In an effort to build greater context for dance within the arts ecology of Maine, internationally acclaimed dance artist and Portland resident Riley Watts is partnering with a consortium of local arts producers, presenters, and artists, including community leaders and non-profit organizations Portland Ovations and SPACE, and proud partners The Living Room, Bates Dance Festival, Portland Ballet, Portland Youth Dance, and Creative Portland to create Portland Dance Month. PDM is an opportunity for local arts organizations to strengthen relationships, expand public engagement, and get audiences excited about seeing more performances in multiple venues throughout the city. From October 10 - November 11, 2018, Portland Dance Month audiences will have the opportunity to see 18 performances in 6 different venues, and attend 6 workshops for dancer and artists. 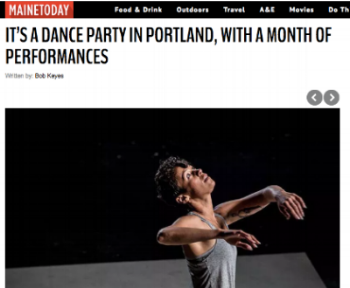 “Is the Maine contemporary dance scene deep enough to carry its own festival? Damn near!” says Phoenix writer Nick Schroeder. “You can dance if you want to, all night long or all month long.” Bob Keyes, Press Herald arts writer. 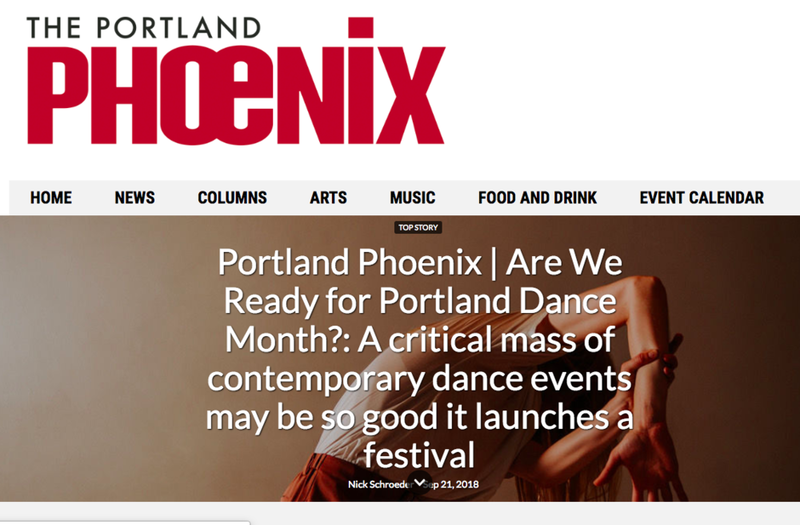 .Want to get involved with Portland Dance Month? Have a question? Need more information about a performance or class? Reach out, and let us know!